Luke Keary is mounting an irresistible case that is starting to put veteran NSW half James Maloney "under siege" for his Blues jersey, according to rugby league legend Peter Sterling. After taking his game to a new level with a Clive Churchill Medal winning grand final performance last year, Roosters five-eighth Keary has started 2019 in similar fashion. While his game was overshadowed by an outstanding Rabbitohs outing in Round 1, he was thrust back into the spotlight on Saturday night with a near-perfect first half performance in the absence of big name teammates Cooper Cronk and Jake Friend as the undermanned Roosters piled on the points against Manly. Origin selection is still more than two months away, making most experts reluctant to start making big calls, but Sterling is sure NSW coach Brad Fittler will have Keary in his calculations. "The first 40 minutes here Luke Keary was absolutely superb, has probably shown Brad Fittler the best signs that you could," Sterling told Wide World of Sports' Sterlo's Wrap. "That under real adversity, extreme adversity, in a grand final, to be clearly head and shoulders the best player on the field; if he plays like that Maloney is under siege in regards to a sky blue jersey." As Origin talk surrounding Keary ramps up, Maloney is facing criticism for his performances in Penrith's first two games of the season, with his often maligned defence once again under the microscope. While the Panthers got the better of Newcastle in a scrappy Round 2 affair to register their first win of the season, several commentators noted the clear tactics employed to isolate Maloney in the defensive line; a tactic that has yielded results for both Penrith's opponents this season. Maloney will turn 33 before State of Origin II this year, which could play on the mind of Fittler, if it comes down to a 50/50 call between the 12-gamer for the Blues and 27-year-old Keary. However, playing in Maloney's favour is that Fittler has vowed to give his winning side from last year the edge in close selections, favouring the incumbents if the form of two candidates cannot be split. 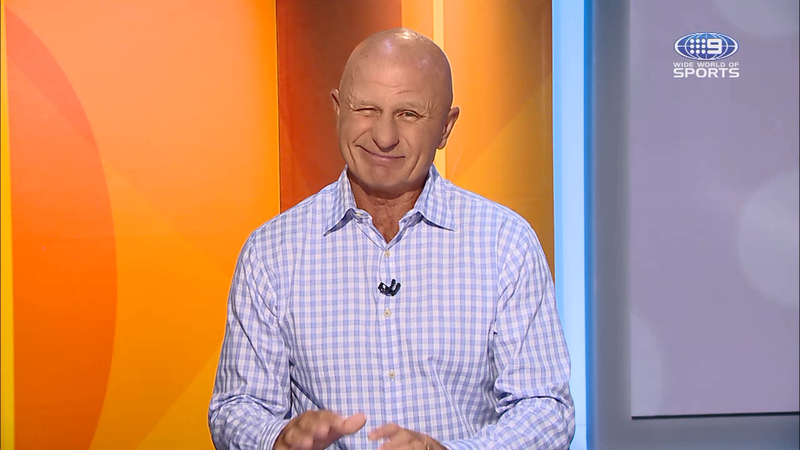 Click on the video below to watch Sterlo's full wrap of NRL Round 2! If the Panthers performances start to match their talent, Maloney's club partnership with Blues halfback Nathan Cleary could get him over the line, although Sterling has not yet seen too much to like about the mountain men in the opening two rounds. "Penrith, when you look at the quality of their squad, I just expect so much more," Sterling said. "I thought it was a really scrappy game (against the Knights) but Penrith get on the scoreboard and that was the most important thing."